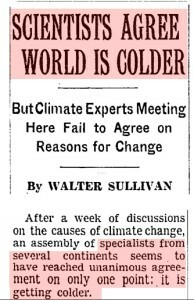 In 1961, there was unanimous consensus among scientists that the Earth was getting colder. 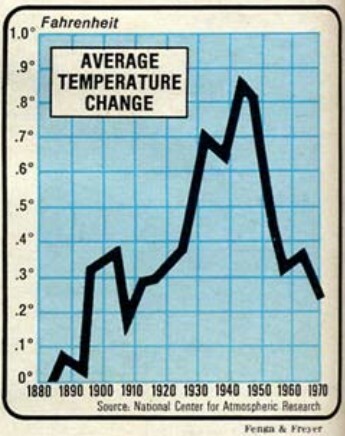 NCAR showed half a degree F cooling after 1940. 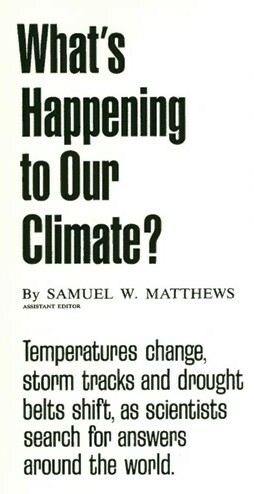 NASA has since erased this cooling, and made 1961 the hottest year in the 1880-1972 temperature record. 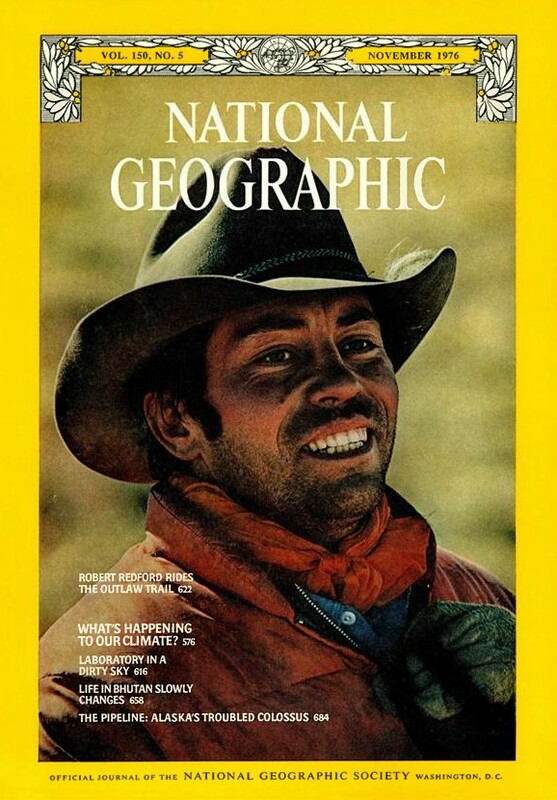 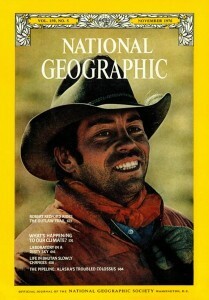 In the 1970’s, National Geographic reported that Earth had cooled half a degree. 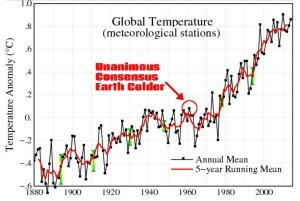 NASA used to report this cooling, but have since erased it, in order to meet their political objectives.